Toptech Solutions Private Limited provides ultimate solution for website designing and maintenance, web hosting, search engine optimization, database development and maintenance, online marketing, multimedia content development, internet and intranet applications development, mobile applications, mobile website, Facebook Applications, Fanpage, Social Media Marketing, Product promotional services, consulting services, management services, online billing with accounting services and so on at competitive cost with TOP Quality with post implementation support and services. SSL - Comodo, GeoTrust, VeriSign etc. Payment Gateway - Authorize.net, VeriSign, Linkpoint etc. Shopping Cart - MIVA, Xcart, Magento, OS Commerce etc. Shopping Cart - MIVA, Xcart, Lite Commerce, OS Commerce, Magento Cart, Wordpress with Woocommerce etc. We also provide the best and cost effective eCommerce solutions for all type of small businesses. We have a team of expert eCommerce consultants and Internet marketing specialists who will assist you in developing the right strategy to develop your online business. We follow most advanced techniques to optimize the ecommerce website. For example, Unique page for each product, High quality backlinks, Unique Product Descriptions, Related Items, Customer Reviews, Social Networks, SEO friendly URL, Unique Meta tag etc. This will help the site to get more rank in most popular search eninges like google, yahoo and live. Call us at 0091-9488422247 to see how Toptech Solutions Private Limited, can develop your Ecommerce Website or send an email to contact@toptechsolutions.com with any questions. Each website we create is using an responsive innovative design techniques and technologies. We follow the W3C standards to meet target market of more alternative browser like Firefox and Opera. We specialise in a corporate web design service with the emphasis on producing easy to use websites, optimised for search engines (SEO) that download quickly over the internet while remaining pleasing to the eye. HTML 5, CSS 3, jQuery and Bootstrap is used to develop responsive website pages. We will add additional features like RSS feed, Newsletter, Discussion Forum, Blog, Streaming Video, linked with social networking sites like Youtube, MySpace, Ning etc. We are desiging ecommerce websites for small to corporate customers. 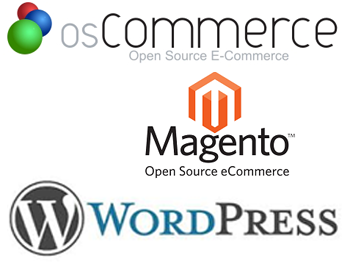 We integrate the site with shopping cart like, Yahoo Store, Oscommerce, Xcart, Miva, Magento Cart etc. We are also doing all setup for hosting E-commerce websites - design the website, design our own shopping cart or ready made cart, install SSL in the server, install Merchant Account like Verisign, Linkpoint etc. Our own shopping cart is suitable for small business like, online DVD store, online Furniture store, online greeting cards sales, online book store, online antique products store. We can design ecommerce website for any type of online sales. Some of our Web site design portfolio showcasing here. Toptech Solution offers Web Hosting Services are designed for organizations that do not have 24 hour IT-staffing, and need support for basic web hosting services, as well as control panel troubleshooting. The General Managed Hosting Services plan is designed for those looking to take a hands-off approach to hosting, and have most of their web services managed entirely by web developer or IT person with a user level control panel. When you select our Managed Hosting Services, you can rest assured that your website hosting is in the hands of professionals.